Today is not a good day in Zürich. Today is not only the day that UBS saw its original rate-gate immunity deal torn up and replaced with a guilty plea and $545 million fine. That followed the day that FINRA took time out of its busy schedule to rip the bank a new one while ordering it to buy back some worthless Puerto Rican bond funds. That may not seem like a big deal, since it will cost UBS exactly 1/545th what the Justice Dept. settlement will. But if it is a harbinger of things to come, well, Puerto-Rican-bond-fund-gate may prove almost twice as bad as rategate. 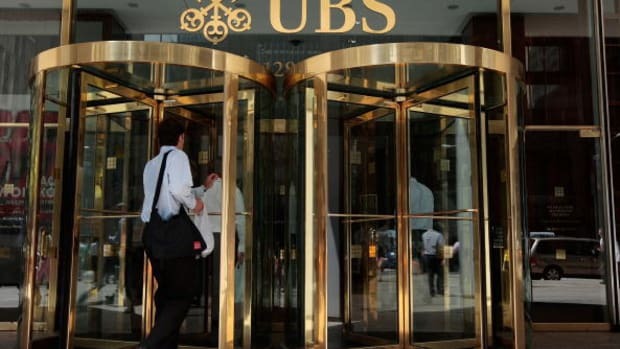 UBS AG must buy back an investor&apos;s Puerto Rico bond fund portfolio for $1 million, securities arbitrators ruled on Tuesday in a rare, lengthy rebuke of the firm&apos;s sales practices on the Caribbean island…. Many of the Puerto Rico funds sold by UBS were highly concentrated in the debt of the Caribbean island&apos;s government and related entities. UBS is defending against hundreds of arbitration claims filed with FINRA, collectively seeking more than $900 million in damages. Thirty-two million dollars in fines will do that to a person.